Mr. Hootstein has unparalleled experience in helping companies to market and sell perishable and non-perishable consumer goods, domestically and internationally. A founding partner of Acuity Partners, LLC, Mr. Hootstein's lifelong passion has been to help mid-market consumer goods companies strengthen and solidify their market position. His areas of expertise include: improving marketing, sales, and operations; expanding brands into new product areas; designing new products for new categories; and improving merchandising and messaging at the point of sale. 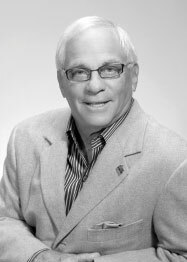 Most recently, Mr. Hootstein was President and Founder of Proteus Design, a firm he established to address consumer needs through original, breakthrough product designs, packaging, and merchandising. Notably, his firm designed the line of Keurig Coffee Brewers, including the Keurig Single Cup Brewer, which are number one in their category. Mr. Hootstein's clients span the retail and manufacturing spectrum, and include P&G, J&J, Kohler, the Masco Corporation, Newell Rubbermaid, QVC, Home Depot, Lowe's, Walmart, and Staples. Mr. Hootstein received a B.A. from the University of Pennsylvania and an M.B.A. from the Wharton School. Mr. Hootstein also served as Vice President of Marketing at Gallo Wines, as well as Vice President of Marketing at Hasbro. He ran an import/export business for several years, where he sourced and resold products from the Orient. Mr. Hootstein is a frequent lecturer at the Wharton School, the Brandeis International Business School, and the Boston University School of Management.